Google Chrome browser makes this possible. Installation is pretty easy and it’s the same process, how you install an Chrome extension. 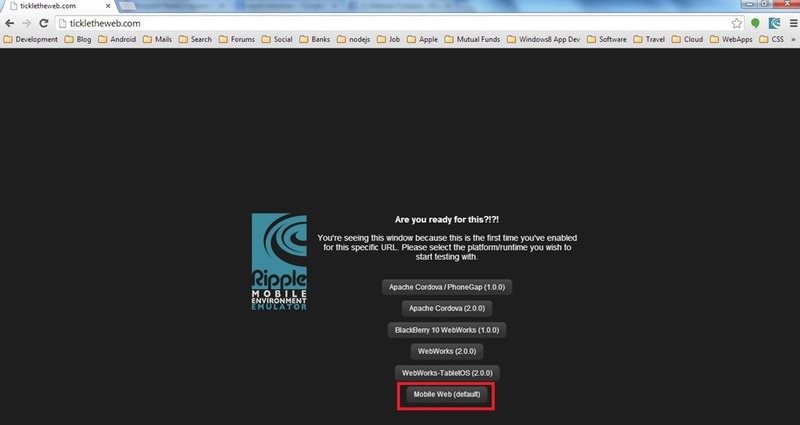 Once, you are done with the installation, Ripple icon will be visible on the right top corner of the Chrome browser. Now, we are ready to test our web apps. 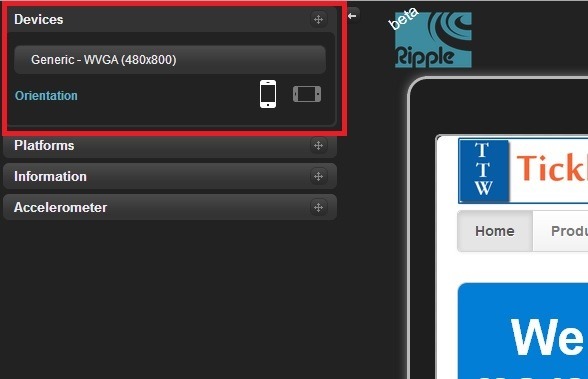 Now type the URL in the browser, and click on Ripple icon. 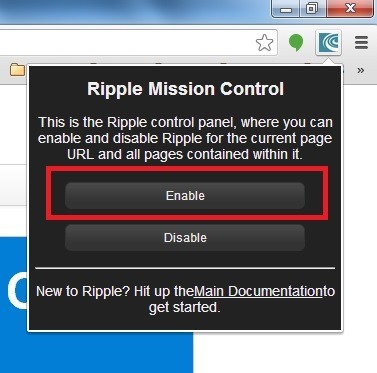 It will display Ripple Mission Control dialog. Click on Enable button in that dialog. 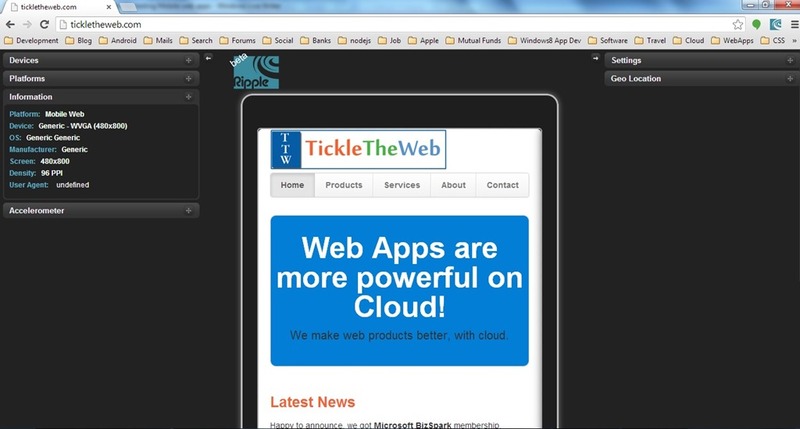 testing mobile web application, will choose Mobile Web(default). Now we are in Mobile mode! device. To do that, click on the Devices option in the left corner, and choose the appropriate device! You can also test the Orientation – Portrait / Landscape. apps using Phone Gap / BlackBerry Web Works! CAUTION: It’s always recommended to test your on physical device. Some times results may vary!